This post is in collaboration with Minted.com. All opinions are my own. It’s that joyous time of the year again and everyone is busy shopping for gifts, planning and hosting parties, and looking to send out holiday greeting cards. 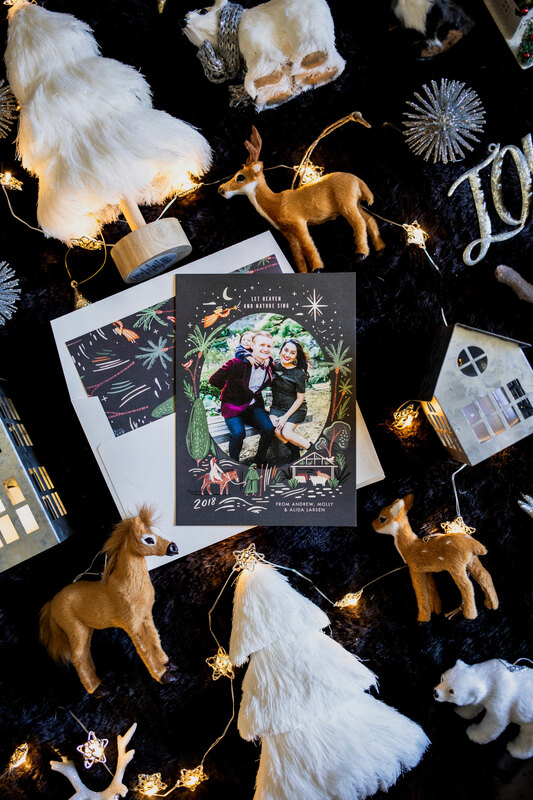 With all of the joyful tasks you have to do, I don’t want you to run out of energy, so I am sharing with you today 3 tips to create a memorable personalized holiday card with ease. 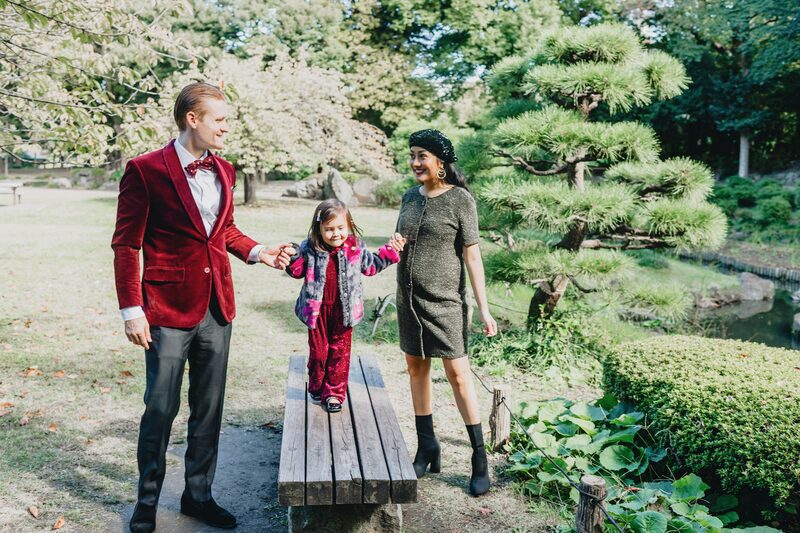 So, you will get this family photoshoot ready and won’t have to deal with unnecessary stress. Planning where to take a picture is the first most important matter you should take it in consideration. If you have never been to the place before, I recommend you take an hour of your day to go visit the place and find the right spot you think will look good on your card. You should go to there around the same time you’re planning to do a real photoshoot, to see how slow or busy your venue is. Planning where to take pictures ahead of time, will lower your stress and make everything a lot easier for your photoshoot day. 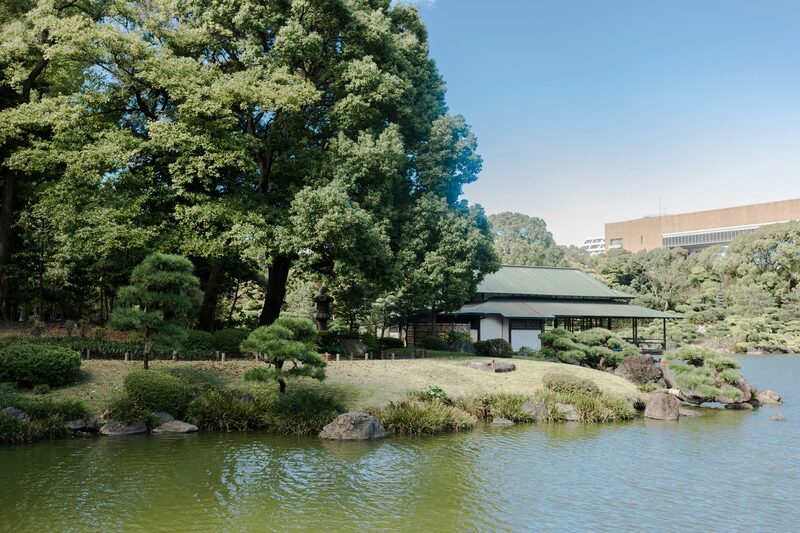 Looking into the rules and regulations of the place is also a good idea because some place will ask you to pay or will fine you if you take pictures without permission. Knowing who will take your picture is also a must. 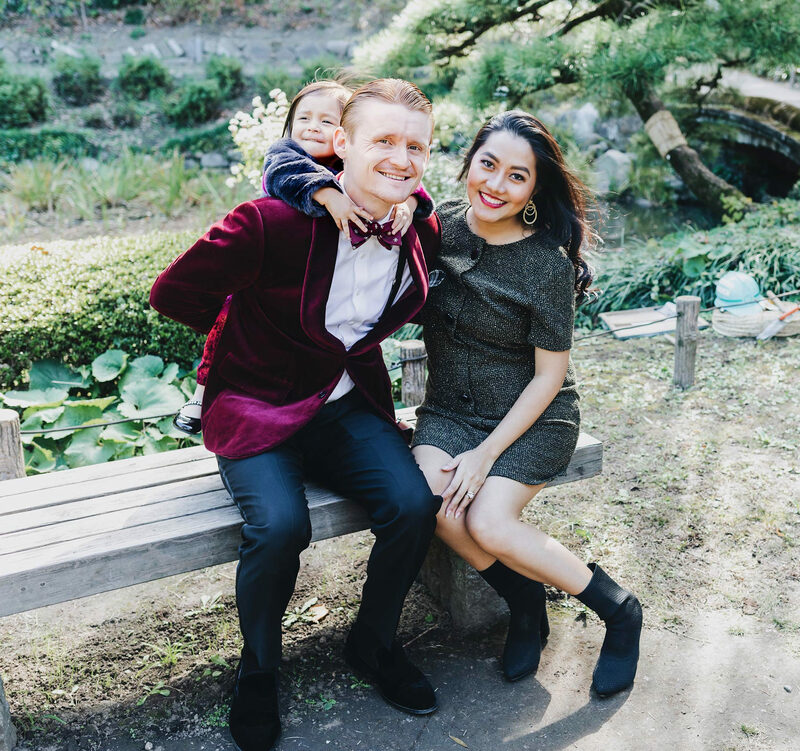 Are you going to hire a professional photographer or will you ask your family member for a favor to take family photo for you. If you’re planning to take pictures at your own home, that’s the best place of all. Make sure you list down all of your props and have them ready for your day. 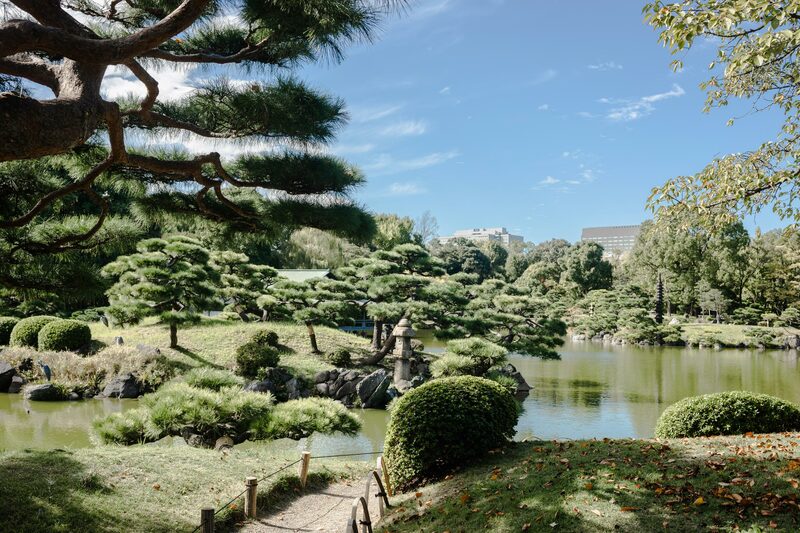 We love the greenery, the bonsai trees and the architecture, that will make our card a little bit different than a usual Holiday cards. 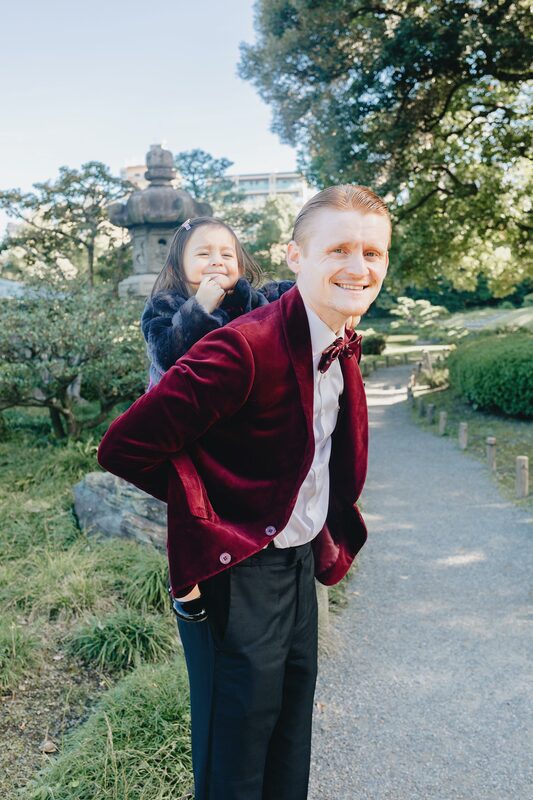 Here are a few photos from the garden and the photos we are using on our family photo Christmas card. This might sound like a no brainer but seriously knowing who will be in the picture is a must. Will you include your furry baby(ies)? Knowing the amount of people can make your shoot go smoothly and you will be sure not to forget anyone. With this tip, it will help you arrange the right outfits or special costumes for each person. Or at least you can tell everyone what type of cloths and or color you would like them to wear. 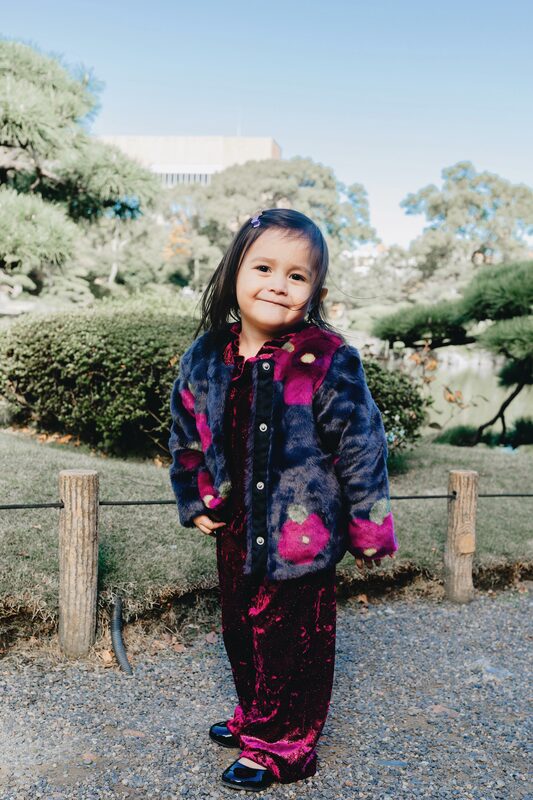 For our family, we tried and packed our outfits in the suitcase and once we were in Japan, we were ready to get everything done. My husband’s outfit is from The Black Tux. My daughter’s outfit is from Target. My dress and beret are from Zara. Boots are from NastyGal. I would have to say this is one of the most important parts of your holiday cards, you have to know where to design and print your cards out. 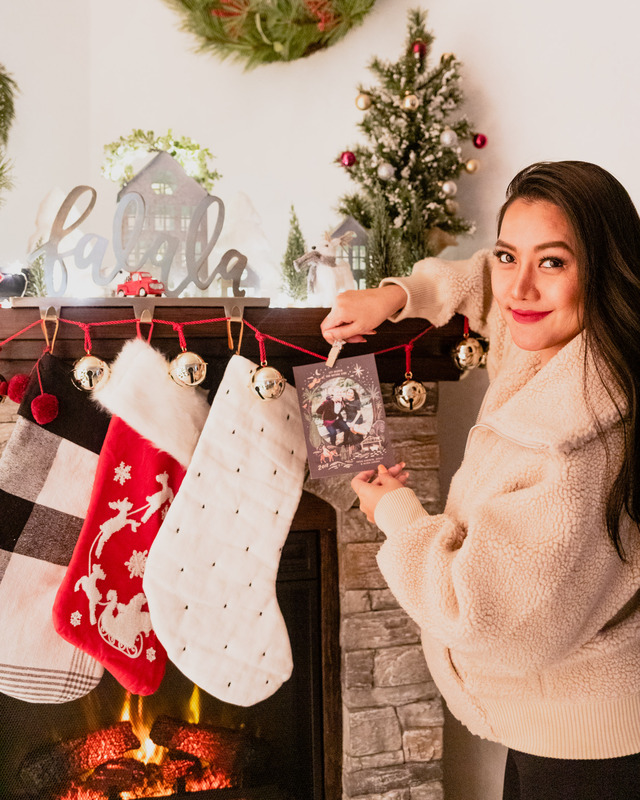 I personally recommend using Minted.com to create your holiday cards. 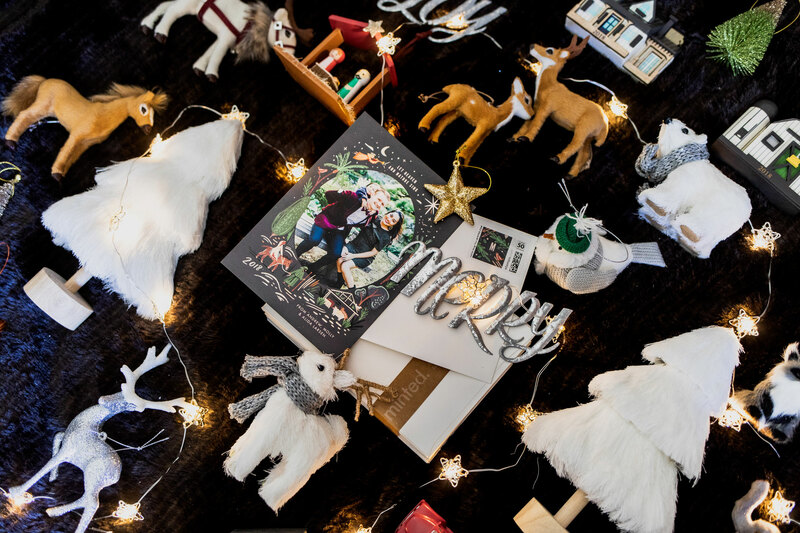 Minted’s holiday cards are designed from independent artists around the globe. Find the perfect holiday card for your style with luxe paper and printing across a variety of formats. 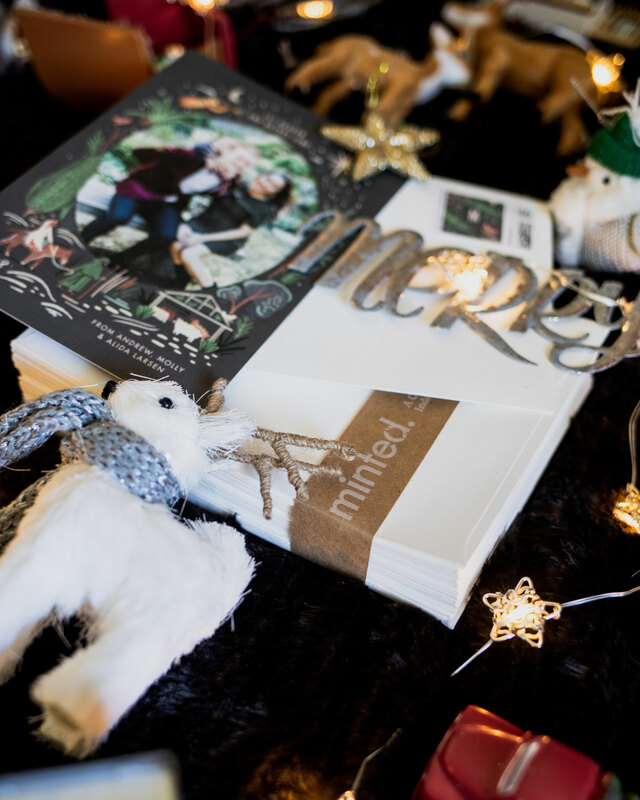 Save time this busy holiday season and try Minted’s styling service for FREE! 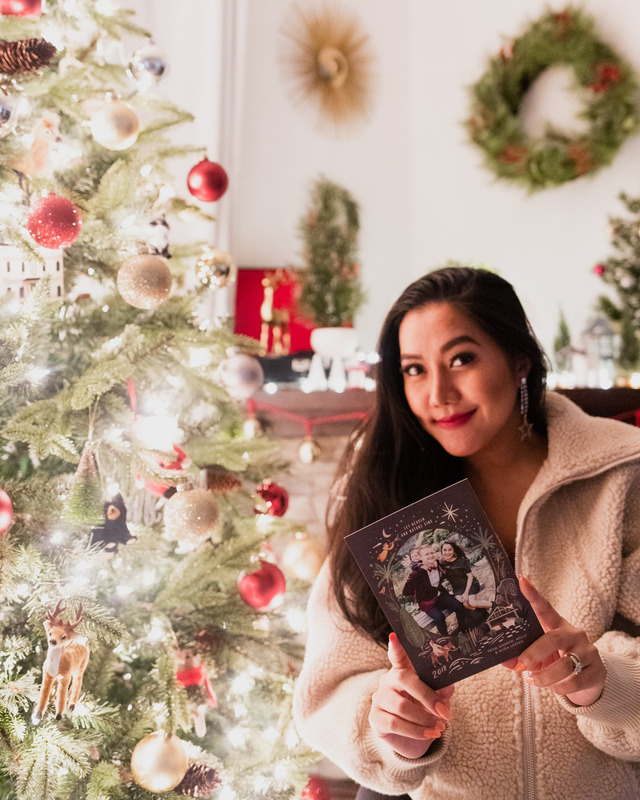 Text Minted Your Photo – Text your photo to 415-301-CARD (2273), and a Minted stylist will text you back five holiday card designs, selected especially for and styled with your photo. The Minted Envelope Upload contacts into your Minted address book for FREE custom envelopes, styled to match your card design. You can take a look at the 2018 holiday card trends – a few trends they have uncovered through their independent artist community include; fresh take on plaids, rainbow text, hunter green, and blush x red color combination. My husband and I decided to go for this cute design, Let Nature Sing, for our card this year. You can visit Minted Holiday Photo Cards to see more designs and choose the one that you love most. How to create your family photo Christmas cards are super simple. Below are the steps on how I created mine. Once you have the photo(s) ready, visit Minted.com. Browse around on Minted Holiday Photo Cards page and pick your favorite design. P.S. This might take awhile because they have so many pretty cards for you to choose from. After you choose your design, click on the “Personalize” button. Follow the process by uploading your photos for prints on the front and back of the cards. Along the process, you will be able to select your envelop color and design. You can also include stamps and upload your receivers’ addresses at the end of the process. 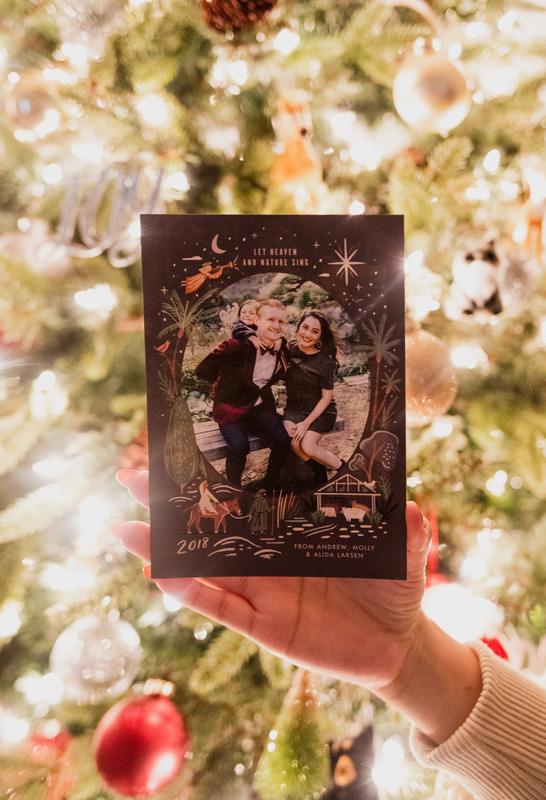 Hope you’re enjoying the post today and got some ideas on how to create a memorable personalize holiday card with ease. 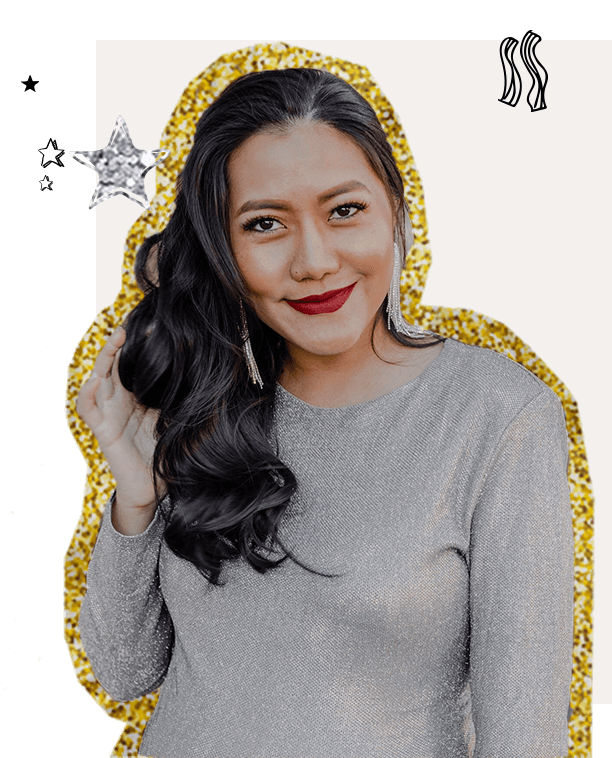 Feel free to check out my holiday gift guides and holiday outfit ideas. Thank you for stopping by All About Good Vibes. Wishing you Happy Holidays and see you again soon.